Datagroup, a telecommunications company, finished 2009 with earnings before interest, depreciation and amortization (EBITDA) of UAH 167 million. Director general of the company Oleksandr Danchenko announced this at a press conference, un.ua says. The gross revenues from sales grew by 10% or by UAH 35.8 million to UAH 393.9 million in 2009 over 2008. As Ukrainian News earlier reported, Datagroup finished 2008 with EBITDA of UAH 106.7 million. Datagroup has its own nationwide fiber-optic data transfer network (DWDM), and an MPLS multimedia network, built on its basis. The MPLS network allows transmitting voice, data and pictures to the last consumers — corporate and individual subscribers. 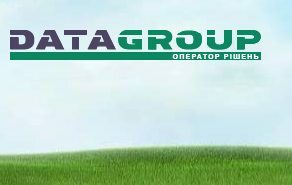 Datagroup was created through the merger of several telecommunications companies in Kyiv and Ukrainian regions.